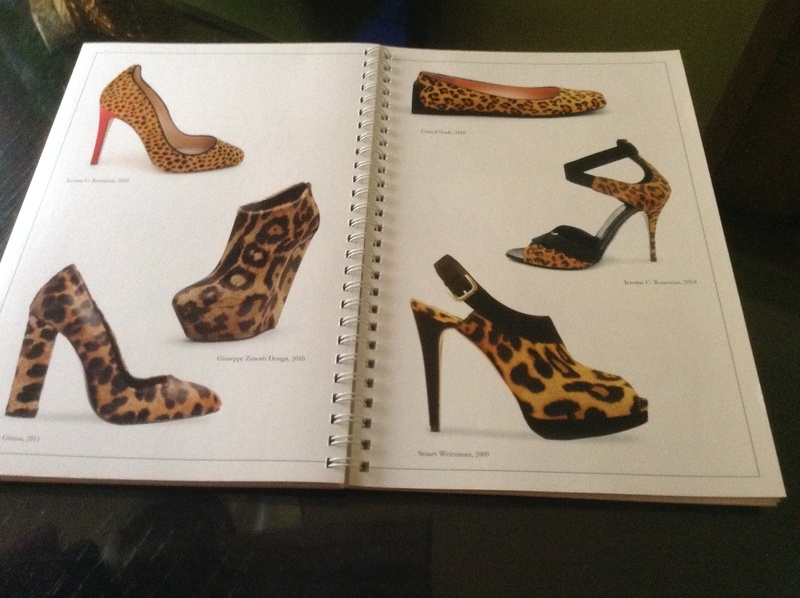 This year, I decided to keep with my theme from last year and order another shoe calendar. 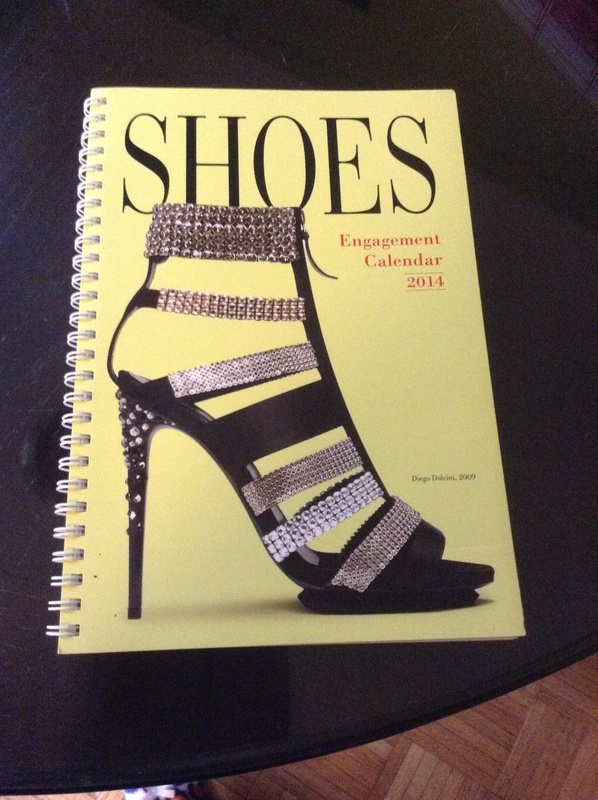 For 2014 my shoe calendar was for my desk, this year it’s a 2-year pocket calendar for my purse. 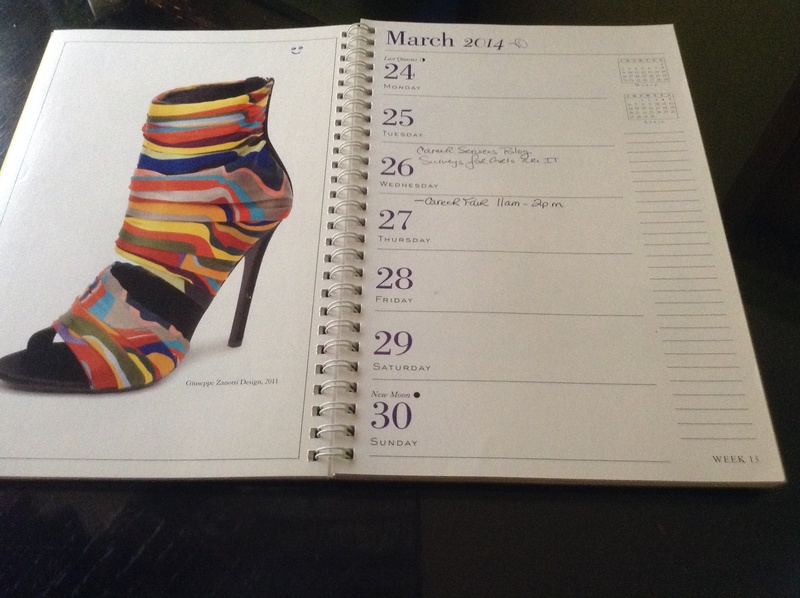 The only thing I dislike about the pocket calendar is that the only picture of a shoe appears on the calendar’s cover, whereas in the 2014 calendar there was a new shoe each week and a collection of shoes for the month! Since we are on the topic of organization, I am considering writing a blog post about how I organize my shoes. Hopefully the tips I share will inspire you to organize your shoe closet! 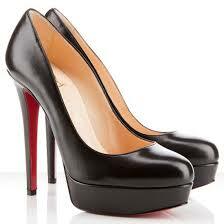 Today’s “ShoesDay” topic is another Shoes as Art post. 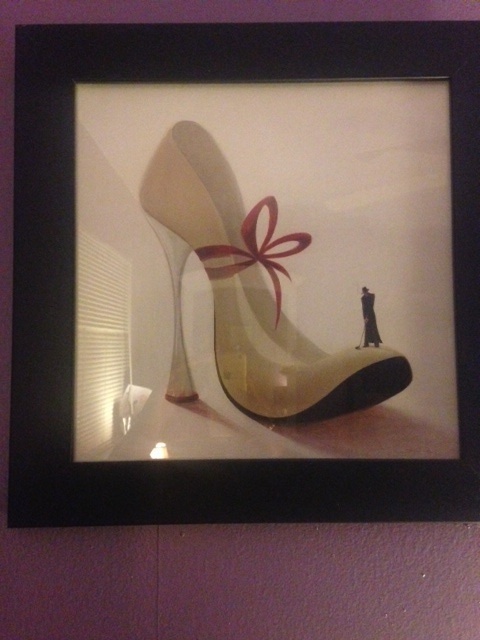 This piece of artwork has actually been in my room for awhile, and was the first “shoe picture” I ever received. The picture combines shoes (which of course you all know I love) but if you look closely, you’ll see a man with a gold club in his hand preparing to tee off. The golfer in the picture serves a purpose too, because at the time I was really into the game of golf (yes, I had a huge crush on Tiger Woods, whereas now the crush has dwindled and I only get around to watching/playing golf occasionally). I think it’s interesting though that a simple piece of artwork can hold meaning and memories. I’m glad I still have this piece in my Shoes as Art collection. Sooner or later this blog was going to happen. During the summer of 2014 (and really, much longer than that when I think about it) I received numerous comments of encouragement and inspiration from friends, family, shoe lovers, and foodies regarding starting a new blog dedicated to shoes and food (two things I love). This blog will explore my affinity for shoes (a passion I’ve had since I was 12 years old), and my reason behind being a “foodie.” Yes, I enjoy a good meal, and I like to cook (breakfast in particular) and Italian food is my favorite. On this blog, I’ll take you along as I cook breakfast, brunch (a few dinner meals will be thrown in too) and head to the mall/stores to review some of my favorite shoes and the shoe styles of the season. Welcome to Brunch & Pumps!